Good participation in last nights net.We did test coverage with stations on 440 repeater. Overall pretty much what I expected..It is all about equipment and antenna when employing 70cm.Of course elevation plugs into equation also.Thanks everyone for participating..
Good meeting last night thanks everyone for attending. 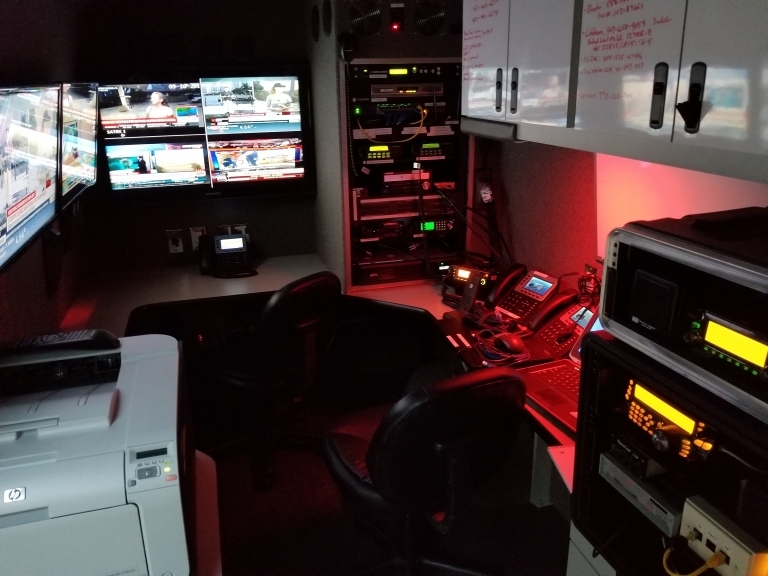 WX4RCA has decided to back to monthly meetings instead of quarterly.Our group is also discussing using the 440 repeater and statrt training with MT63.Hope to hear everyone on Monday night net! Thanks to KM4UGS and K4GUP for your assitance at County Emergency Prepardness event.Also our ARES presentation at CERT meeting . It is good to have our 440 repeater on the air finally !! Everyone should check it out when you are outside of Conyers and let me know of your coverage results. The 2018 State SET is coming up 10/6/2018 and will simulate a major hurricane hitting the area. Again thanks to all for your support of ARES in Rockdale County. Thanks to all for coming out to meeting at Mellow Mushroom.! at 9am at Career Center on Parker Road! Thanks to all stations for checking in Monday night! Since county is closed 1/17/2018 for weather we will not meet tonight at annex. Thanks to everyone in and around Rockdale County for your support. Last year was a very challenging one for myself and thanks to those members who continue to support this effort and myself. I really appreciate you! I would like to welcome new member K4GUP David and looking forward to his involvement with RC ARES. WELCOME DAVID! A good meal was shared as we broke bread together in DECEMBER, as discussed we will start trying to meet for a meal oonce a month! Don't forget GA ARES meeting this Saturday @ GPSTC in Forysth. Great net Monday night ! Thanks to Bob KM4UGS our NCS. Also take note that our meeting scheduled for tonight has been moved to 12/22/2017.We plan to meet at Tavis Pizza at 6:30pm for dinner and a quick meeting. Great net last night! Thanks to all for participating to make Rockdale County ARES a success! Look forward to hearing all next week again Thank You. We had a monthly meeting and discussed some needed changes in our format and how we plan to reach out to community! HAPPY THANKSGIVING TO ALL. Thanks to all stations for checking into our net on Monday night and to Bob KM4UGS for taking over NCS duties and doing a wonderful job! Our monthly meeting is tomorrow night at 7:30PM at the annex . Hope to see everyone ! New meeting date is 11/8/2017 at training annex 7:30pm!! The monthly meeting will be changed to a new date .Please check back later. Thanks to Bob KM4UGS for taking NCS for tonights net . He did a great job as we prepare to move forward . Our normal NCS KF4ASC is still recovering from surgery and hope to hear him back on the air soon. Also thanks to the Walton county group for supporting Rockdale ARES. Tonight's net brought a good turnout as KM4UGS did a outstanding job filling the gap as NCS.We still need a net control station for D-RATS if anyone is interested,let WN4JC know. Also Thanks to Walton County group for checking in! Hope to hear everyone next week . Thanks to all for checking in tonight's net. KM4UGS served well as our newly appointed NCS , Also please congratulate Bob on his recent appointment to AEC for Rockdale County ARES! Much thanks to K1KC Chris and KF4ASC Moose for their service to WX4RCA! D-RATS capabilities are now part of our Monday night night Net. Please check in with WN4JC on the GAARES RATFLECTOR.